Granite countertops are certainly trending among homeowners, but you’ll want to stand out, right? You want a brand new kitchen, with new appliances, new cabinets and new counters – but not if it looks like everyone else’s kitchen. You want to be unique! If you are searching for a stone countertop that provides versatile applications, yet maintains a regal and tranquil color scheme for a more unique feel – Blue Fantasy is the selection for you. Directly imported from India, this slab’s simple movement with graceful colors creates the ideal selection for projects that want to really draw in light and add life to the room. The combination of a grey-blue tint with this particular movement creates a versatile, yet highly unique slab. When paired with brown or mahogany cabinets, you’ll achieve a more traditional look. 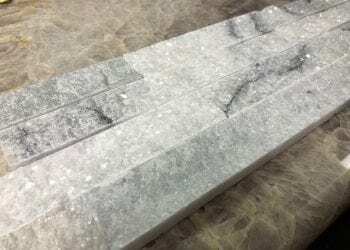 But if your after a design that will truly showcase your stone, combining this slab’s ability to draw in light with black cabinets will make your project truly shine.